Jerry Musnitsky, 54, founded NextGen Tel, s.a.r.l. NextGen Tel was based on an exclusive contract with IDT to offer prepaid telecom services across all of Europe. NextGen Tel now operates independently on the global market with the introduction of NextGen Cel, a mobile payment solution for smartphones. Mr. Musnitsky is an entrepreneur with expertise in the creation of companies based on advanced technologies. He has taken companies from start up to and established joint ventures in the U.S., Europe, and Asia. In 1991 he began technology transfer initiatives with the Los Alamos and Sandia National Laboratories to apply advanced technologies to the commercial marketplace. Prior to NextGen, Jerry founded Digital Traffic Systems, Inc., Sensor Management Systems, Inc. and several other technology ventures with successful exits. 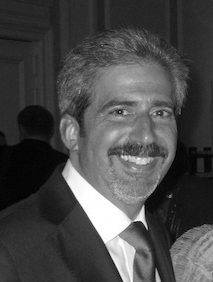 Jerry is a graduate of the George Washington University (D.C.) and currently teaches MBA courses in Entrepreneurship at Paris School of Business and Ecole Polytechnique Feminine.